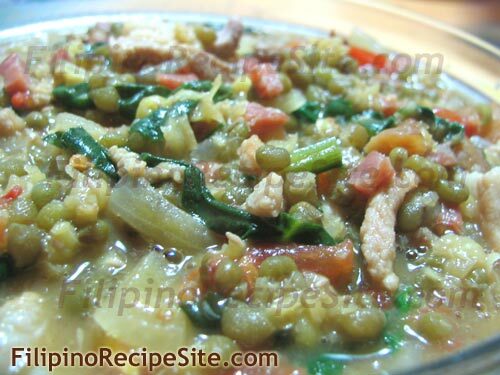 Munggo Guisado is one of my favorite filipino food dishes. 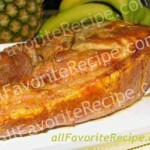 It has an inexpensive ingredients and lots of nutrients. Way back in the Philippines, I usually use ampalaya leaves for its green veggies but uses spinach as a substitute here in Canada. 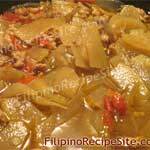 In our family, I cook a variety of Filipino food dish in our table every week. 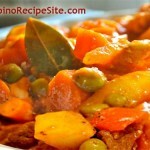 My simple desire is to let my growing children love the taste of filipino dishes and a healthy one. 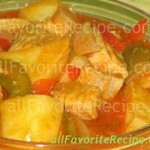 i love to cook monggo, with chicharon, very good to taste!! Mahalo for sharing. 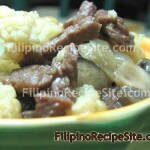 This was one of my favorite dishes growing up here in Hawaii.